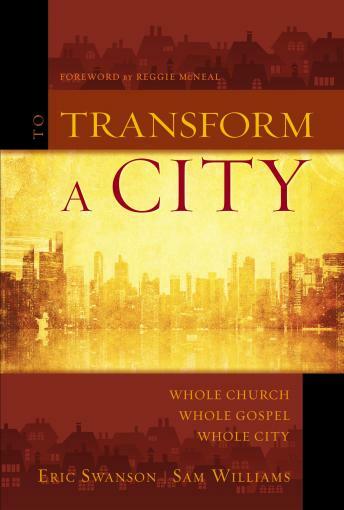 To Transform a City is a timely, compelling book that helps readers understand how to think about cities, their own city, and the broad strategies needed for kingdom impact. The book begins with an overview of the importance of cities in the new day in which we live. The authors address the process of transformation along with examples of where and how communities have been transformed throughout history. After writing a persuasive chapter on kingdom thinking the authors unfold the meaning of the whole church, the whole gospel, and the whole city. The book ends with the need for people of good faith to work together in the city with people of good will for the welfare of the city.